Dr. David Drake founded the field of narrative coaching and offers the popular Narrative Coach program through WBECS. He is a master coach and has taught coaching to over 15,000 leaders, managers and professionals in twenty countries. He has presented on coaching to 25 universities and professional associations around the world, including the opening keynote for the first International Coaching Psychology Congress. David is a Fellow and Thought Leader for the Institute of Coaching affiliated with Harvard Medical School. It is part of his dedication to the evolution of coaching to meet the critical needs of our time. In 2018 he launched the Moment Institute in San Francisco and Amsterdam. It is dedicated to developing practitioners who can facilitate real change in real time. The Institute offers Threshold Retreats and a Mastermind program for fellow pioneers who work at thresholds with those they serve. It also is developing partnerships to bring this work into organizations and other domains, with a particular passion for coming alongside those who are reimagining education. The Institute builds on David’s dedication across the past thirty years to guiding people through change and transitions. Along the way he has honed a passion for big questions and small moments as openings for transformation. He is known as a boundary spanner with a strong ability to bridge the academic and the applied, the deeper patterns in systems and the deeper needs in people. 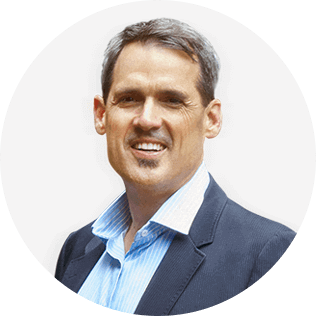 He has used this wisdom to support change and coaching in over 70 organizations, including Commonwealth Bank of Australia, Dropbox, Google, Logitech, Nike, PwC, Westpac and many government and education organizations. David earned his PhD in Human & Organizational Systems from Fielding Graduate University. He also has degrees in Sociology, Theology and Organization Development. He is the author of over 50 publications, including as lead editor of The Philosophy and Practice of Coaching (2008, Jossey-Bass), co-editor of SAGE Handbook of Coaching (Sage, 2016), and author of Narrative Coaching: The Definitive Guide to Bringing New Stories to Life (2nd ed) (CNC Press, 2018). When not working, David loves to spend time with his partner and daughter, hiking in the wilderness, or hosting dinner with friends. Carl Jung, one of the founders of the field of psychology, developed the notion of the Shadow to represent the aspects of being human that we do not acknowledge in ourselves. Instead, we project them onto others so we do not have to face them. While this is a normal developmental process when we are young, it becomes a challenge later in life when we need these attributes in order to mature. This is particularly true when we face adversity, need to make new choices, and address issues related to the second half of life. This is particularly true in a time of increasing polarization, a sure sign that we are not dealing well with our Shadows at either a personal or collective level. In this session, I will introduce the basic concepts related to the Shadow, why it is essential for our growth, how to listen for it in your client’s stories, and a coaching process to help clients reclaim their Shadow and use it in learning from and moving through adversity. This session builds on my work in putting mindfulness in motion and will enable you to help your clients do more than just cope. What many of us have come to realize is that to work at deeper levels and on more complex issues with our clients, we need to do this work for ourselves first. In the end, we are what Henri Nouwen called “wounded healers”, and facing our own adversities has been a catalyst for starting or deepening our practice for many of us. I know this is true for me, and I want to share with you what I have learned from my journey and the thousands of others I have supported. In talking with coaches around the world, I have observed that some are most passionate about developing people, some are most passionate about getting results, and some are most passionate about improving the domain in which they work. Since clients appreciate all three of these outcomes, wouldn’t it be great if we could bring them all together into a single frame? In this session I will explore enlightened pragmatism as one way to do so. In large part, it is an effort to support coaches to outgrow the GROW model and, instead, to engage their clients in what I call “serious play.” To do this, we need to tap more of our innate wisdom and blend it with practices such as design thinking to re-imagine what coaching could be. In this webinar we will explore enlightened pragmatism as an integrative approach to helping clients to develop themselves so they can sustain better results that make a difference in their environment. We will look at the essential elements of wisdom and design thinking and how each can be used to upgrade your coaching. I will share three examples of enlightened pragmatism principles that my partner and I developed; they have enabled us to form a relationship unlike any we have had before. Each of these three principles has a direct application to your coaching relationships and how you show up in them. Our clients need deeper connections, deeper wisdom and more sustainable results. Our organizations, communities and planet need the same. Come join the conversation and discover how this work could make a difference for you and those you serve.